Many different levels of German courses in August as well as the rest of summer. Our students continue to come back to Berlino Schule time and time again and this is evident through the excellent reviews we have received (5/5 on Facebook and 4.9/5 on Google). These positive reviews are due to the consistent quality of our teaching and our competitively low prices. In fact, our students claim to have been positively stimulated by our international, young and dynamic atmosphere. Find our latest offers below which are all available in the upcoming months. From July till September, along with our regular intensive and evening courses, we will also offer super-intensive courses. These last 2 weeks each (50hours* in total) and cost €268. Thanks to this type of course, you could be able to complete a whole level within a month! Moreover, our super-intensive courses are part of our Summer School project, which includes up to 15 hours of complementary activities, such as guided tours and film screenings! Every course is taught in the target language, i.e. our teachers constantly speak the language that our students want to learn when delivering lessons or explaining concepts. Our method relies on the belief that a total immersion in the language is the most effective way to improve one’s level. Our teachers have regular meetings to ensure the consistency of our method, regardless of the level of each course. Are you not an European citizen? In order to apply for some kind of visas, the embassy may ask you to prove your German level and/or provide them with a confirmation of enrollment in a German course. Should this be your case, feel free to contact us. We will do our best to help you with the paperwork concerning your language status (i.e. you can test your level with one of our teacher and we can provide you with a document in which your level is clearly stated), as well as your studying status (i.e. confirmation of enrollment, confirmation of payment, etc.). Moreover, should the amount of hours in the course you would like to attend not be enough for your specific visa request, we are more than glad to offer you and other students in similar positions, some hours (according to your needs) of tutoring, without any further cost! First step: choose the right type of course for you! 4 weeks of morning classes, 3 hours of lesson per day, four times a week, 48 hours* in total. 2 months of evening classes, 2 hours of lesson per day, 2 times a week, 48 hours* in total. Should you need any help to find a place to stay while attending your course, send us an email! 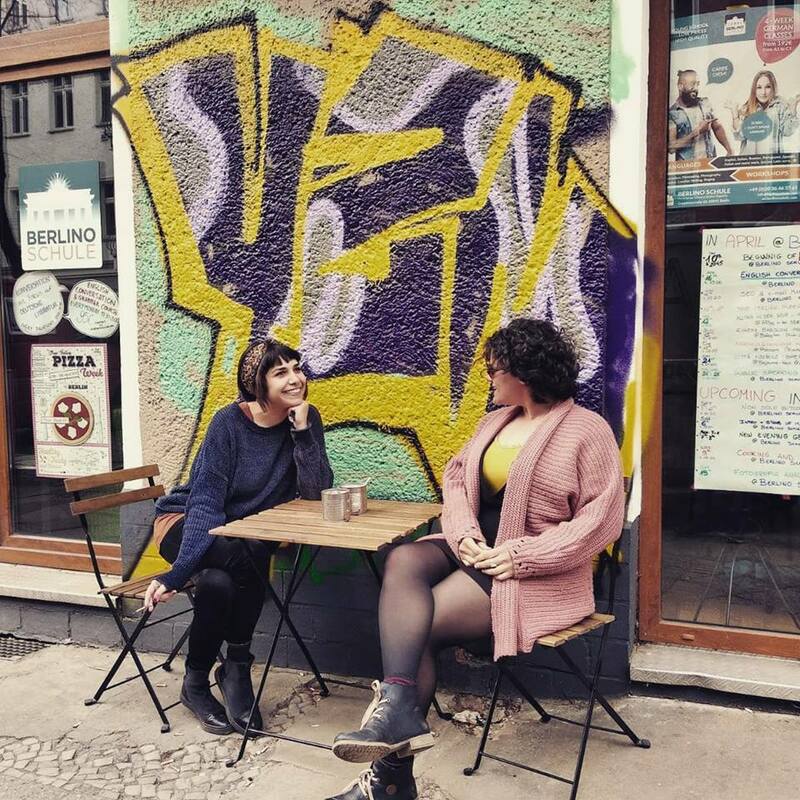 Berlino Schule have concluded agreements with some flat tenants in Berlin and can put you in touch with them or provide you with a list of hostels and hotels with fair prices which are close to the school. 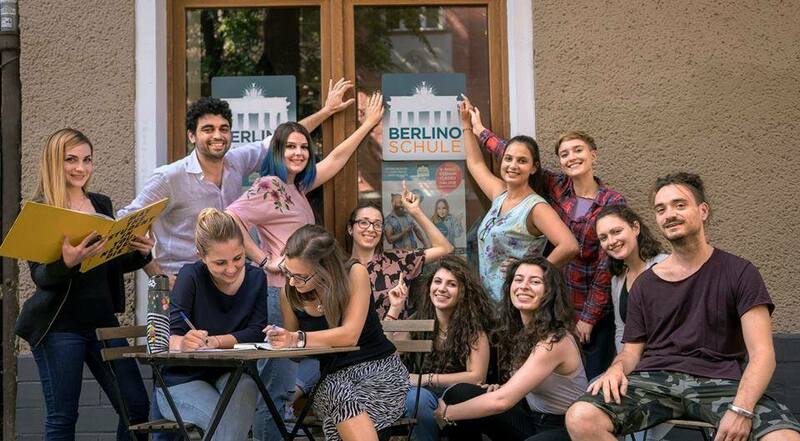 The language school “Berlino Schule” is located in Berlin and gives you the opportunity to study German directly from home thanks to our teachers and the private lessons conducted via Skype. We aim at making education accessible to everyone, even those not living in Germany or even those who cannot attend the school. Our individual and Skype classes are made for beginners (A1.1) as well as advanced learners (C1) and the other levels. An attendance certificate will be given to you at the end of your eLearning classes. If you want to take individual classes, no previous knowledge is required. Our flexible schedule will meet your specific linguistic needs and working hours. The attendance will be defined with the school. The price is €28 per hour (45 minutes). Send to us your application and you will have the chance to attend lessons comfortably from home. Contact us at info@berlinoschule.com for further information. Should you need further information or want to register for one of the above-mentioned courses, feel free to contact us at info@berlinoschule.com !